Q: What’s it like to be back again as Darcy Lewis? A: It’s very exciting to be Darcy again. I’ve never been the same character in two movies, so this is very interesting. Getting to fast-forward to where Darcy is now from the last movie has really been fun. It’s nice because you already know everybody, too, which is great. Q: What was your audition like for the first “Thor”? A: My final audition for the part was sitting at a desk at Marvel with Craig Kyle and Kenneth Branagh and some of the executives in the room. They put a camera on me but they didn’t tell me they were doing it. They had me sit behind the desk and then behind the camera they all started fighting each other and throwing things. They were taping my reaction to that fake fight, which was, in retrospect, genius. But at the time I was like, “What is up with these people? What is going on? Is this how it works? Is this what Marvel does to actors?” That was my audition, so the fact that it’s gotten this far is amazing! Q: Doing the first film, did you realize you were part of something so big? A: I knew how special “Thor” was. Being in a Marvel movie was one of my career goals but I didn’t think it would happen so quickly. But the fact that it happened with “Thor” and Kenneth Branagh, made me so excited and happy, so the fact that they brought Darcy back again for this one was amazing for me. I love working for Marvel, and these movies are so good and Thor’s story is so specific and beautiful that I just love it. I love every second. Q: Where do we find Darcy at the beginning of this movie? 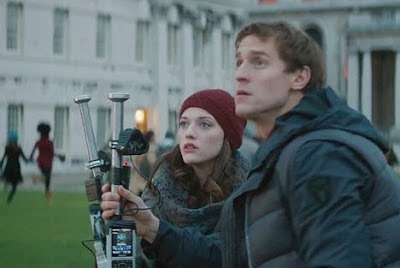 A: At the beginning of “Thor: The Dark World,” Darcy is with Jane doing research in London but Jane is sad and lonely and depressed about Thor. Darcy’s gotten more interested in science in this movie; in the last movie she didn’t know anything. She also got herself an intern, which is hilarious because she’s an intern. Darcy kind of peer-pressures Jane into examining the strange things that are going on. Q: How does Ian, Darcy’s intern, fall into the storyline? A: I don’t know where she found Ian but somehow she got him and wrangled him into being her intern. She just abuses him mercilessly and treats him like crap. Q: What did you think of this script when you first read it? A: I loved the script. It’s like 130 pages or something and I read it in an hour. I laughed out loud so many times. 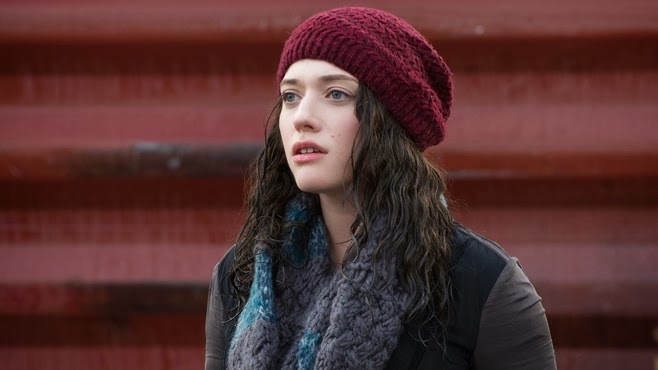 Darcy has such good stuff in this movie and she had great stuff in the last movie too, but they’ve given her a little bit more this time and it’s really great. It’s been really fun. Q: Where are Jane and Thor at the beginning of the movie? A: Thor is protecting the Nine Realms and doing Thor-y type activities, and Jane is moping around in London in her parents’ house, thinking about Thor and wondering where he is. She’s kind of depressed and trying to date other people but it’s not working out. Q: How is it working with Natalie and Stellan again, and what’s the evolution of the working relationship between the characters? A: I’ve known Natalie for five or six years now, and I love her so much. She’s just a wonderful actor and person. Working with her the first time was amazing and the second time even better because we’re just comfortable and just normal together. Stellan is one of the nicest people alive. I love him so much, and I’m always thrilled to be in a scene with him. He’s such an unbelievable actor. It’s fun to see all the characters back together and how they’ve all changed. Like Stellan’s character Selvig has gone crazy now because of what happened with Loki in “The Avengers,” so he’s lost his marbles a little bit. It’s fun to watch Darcy and Jane react to him, and for Ian to see him for the first time, having never met him before. Q: How do you think the audience will react to Jane going to Asgard? A: I am so excited to see Jane and Thor in Asgard because it’s a whole romantic thing and she looks so gorgeous in her Asgardian dress. It’s really fun to see. You’ll see what happens when she comes back to Earth and the reaction it gets when Darcy sees her. Q: Why is it important to maintain the humorous beats throughout the film? A: So much of the film gets dark and emotional, and the lightness is extremely important. It makes you feel both those things so much more strongly. They balance each other out and there are really great humor bits in the movie with all the characters—not just Darcy. Q: How is it working with Alan Taylor on this film? A: I love Alan. He’s so sweet and he’s very quiet and reserved. He has these little bursts of brilliance that he gives you and then just walks away. It’s really great. He’s fantastic and he listens to you. There is nothing else you could ask for. Q: Does he give you a lot of freedom with the script? A: Since I’m on a TV show, I’ve stopped improvising because it isn’t done in TV. So whenever Alan would come up to me and say, “Just do what you want,” I’d be like, “What? I’m allowed to do that?” So a few times I’ve been allowed to veer off the path, which has been thrilling. Q: How do you feel about the wardrobe in the movie? What do you wear? A: Darcy’s stepped her game up a little bit. 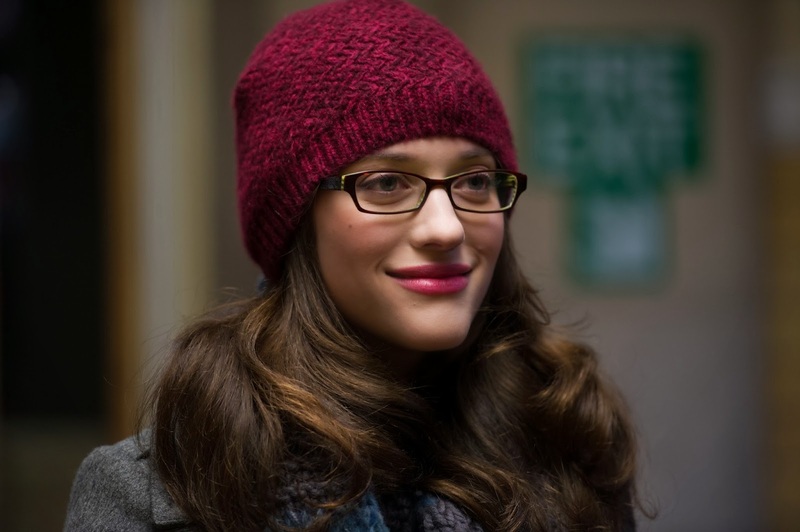 In the last film she was sort of nerdy/cute; she had sweaters and hats. The hats and scarves and the glasses are still here in this one, but she has leather biker boots and a really cute jacket. Some things that might disappear off of set tomorrow…but no, I’m not going to steal anything! Q: What do you think about these sets you’ve been working on? A: Amazing. That’s what I think is going to set this movie apart from other Super Hero movies because there are so many practical locations like Iceland and the abandoned London warehouse. It may look like CGI but it’s not; that’s the beauty of it. So I think the movie’s going feel really real. Of course, now I live in Los Angeles so it’s freezing on location, but other than that it’s beautiful. I thought I could handle it. I used to live in Pennsylvania and New York and now I’m a wuss. Q: Why do you think audiences continue to easily relate to Thor? A: It’s a very human story. Thor’s evolution from the first film was from a selfish young king-to-be to where he is now, which is a noble man about to take over the throne. It is a coming-of-age story that everyone loves and can relate to. Q: Why do you think Marvel has been so successful in creating a cinematic universe? A: The comic books are genius and all of us remember them from our childhoods. My parents read them. 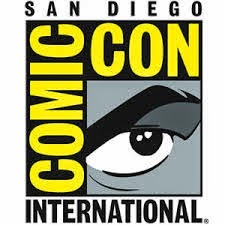 Everybody has had an experience with Marvel comic books. My brother collected them when I was a kid, so I used to read to read them and that’s how I knew about Thor. And Marvel’s films are just great, solid films. It’s almost irrelevant that they’re about comic books if you’re looking at it from a filmmaking point of view. They’re just good movies and all the actors are stellar and the arcs are always really emotional and true and really funny and really smart. Q: Darcy is a popular character with fans, correct? A: Yes. People seem to love Darcy. I love Darcy; she was born out of my imagination because she’s not in the comic books. So, the fact that people like her is just really flattering. 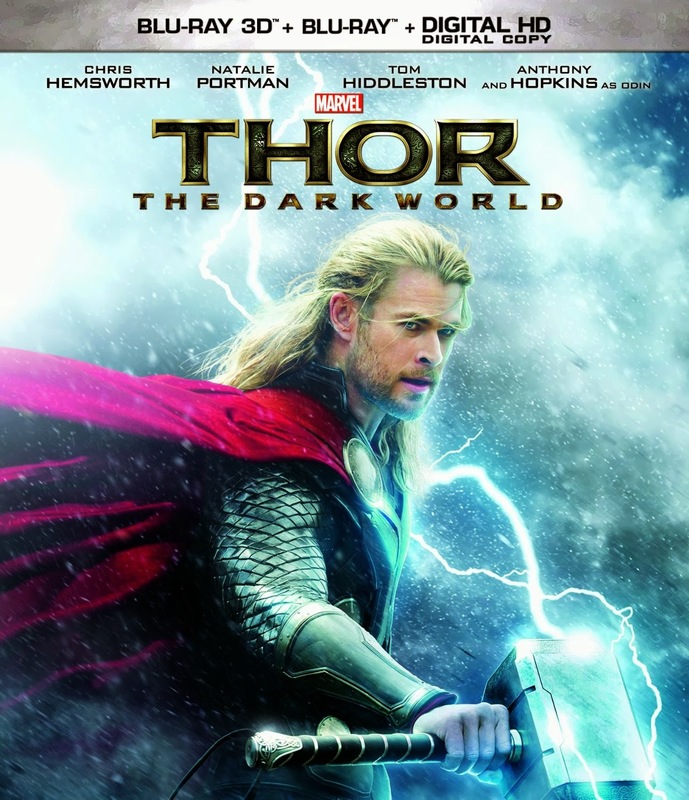 Thor: The Dark World will be released 2/25/14. Order your copy today!